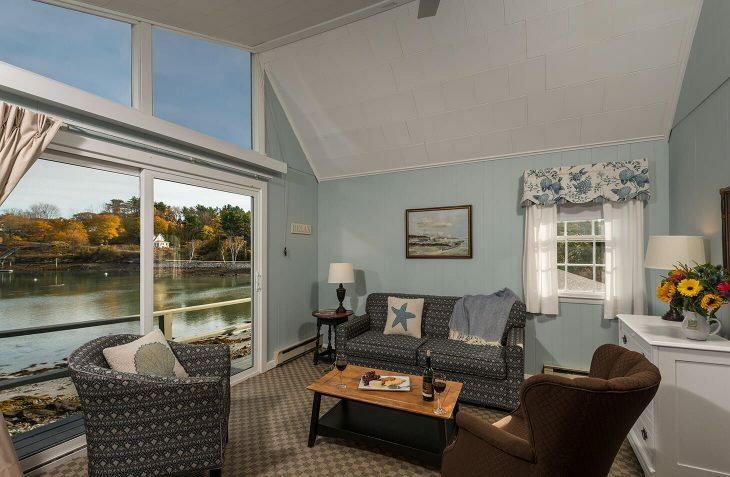 This luxury suite in the Quarterdeck building is where to stay in York, Maine for family or friend getaways. 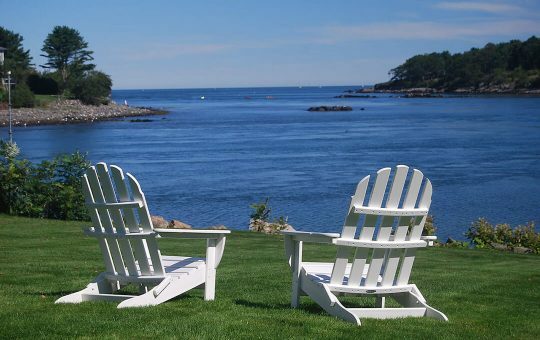 The second floor location offers a gorgeous water view, especially from the private deck. 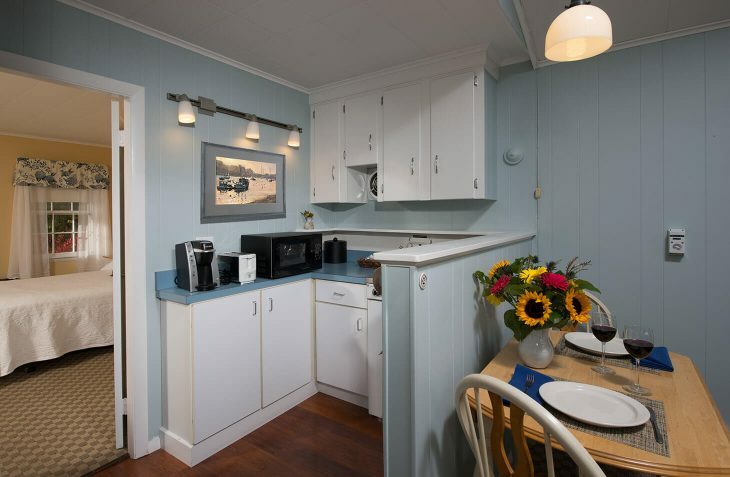 Relax in the living room with a pullout sofa and kitchenette with a dining table. 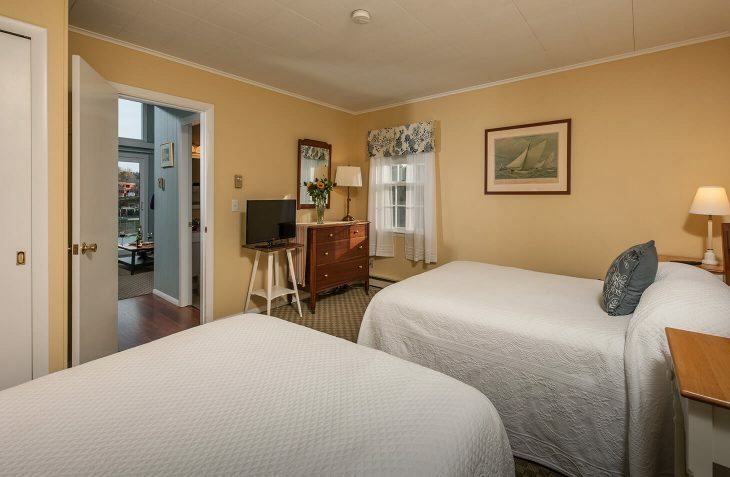 The separate bedroom offers two comfortable full-size beds.